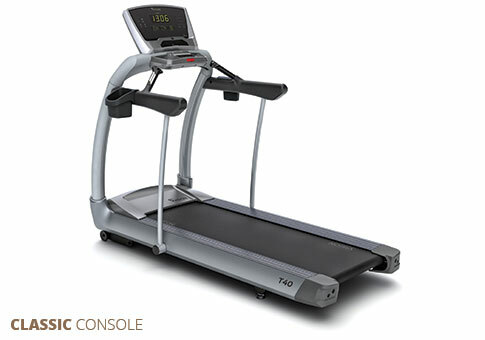 The Vision T9500 Deluxe treadmill is in between the low- and high-end models of the Vision treadmills. The media considers it as having a great value due to its features that you can enjoy and experience at a reasonable price. This treadmill is built with features that will help you reach your fitness goal, whether it’s improving cardio performance or losing weight. And more than this, it provides a safe and comfortable way of doing your regular running routines. 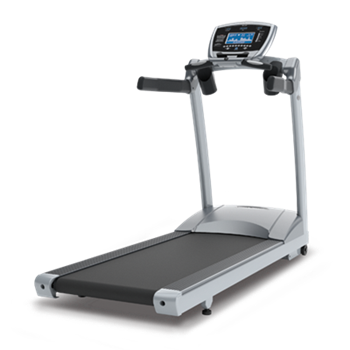 If you are looking for a safe, comfortable, and effective treadmill at something that won’t burn your budget, then yes, the Vision T9500 Deluxe treadmill is just right for you. Manufactured by Vision, you can guarantee quality and long-lasting performance that can meet your fitness needs. However, since it is in the middle of Vision treadmills price range, I believe that you would be better off saving some money and buy the cheaper version(T9500 Simple) or just upgrade fully to the most advance version(T9500 Premier). Both versions provide better value for your money. Made with commercial grade materials, the Vision T9500 Deluxe treadmill has a solid, sturdy frame that can endure even the most intense workouts. Together with its motor, running deck, and orthopedic belt, it is perfect for any walking or running training routine. Powered by a 3.0 horsepower motor and a digital drive system, this machine provides a strong, but smooth and quiet performance even at higher speeds. It can withstand even the toughest runs by heavy users. As for safety and comfort, the machine features a wide running surface and a thick orthopedic belt (softer than regular belts) that will absorb impact. It is also made with a winning shock absorption system featuring 8 variable durometer elastomer cushions. Feel the comfort and cushion in every stride as your joints and knees are prevented from impact and stress brought about by intense workout. For variations of running routines, you can choose from the 8 workout programs that are included in the treadmill. Whether you’re running for leisure or training, you can take advantage of the T9500 in meeting your fitness goals. It is also built with an easy-to-use, easy-to-read, console display that shows important workout stats and data including speed, incline, distance, time, and calories burned. This should help you gauge as to how successful are you in working out your cardio performance. The biggest weakness of this machine just like other Vision treadmills, is that it comes with an orthopedic belt. Although this belt is softer than the ordinary belt, it also provides more wear and tear to the machine. But since this machine is built from high quality parts, you shouldn't worry about this too much. 3 User Log-In Profiles, SPRINT 8, 4 Classic Programs, 3 HRT® Programs, 3 Goal Programs, 5K, 10K, 5 Custom Programs. 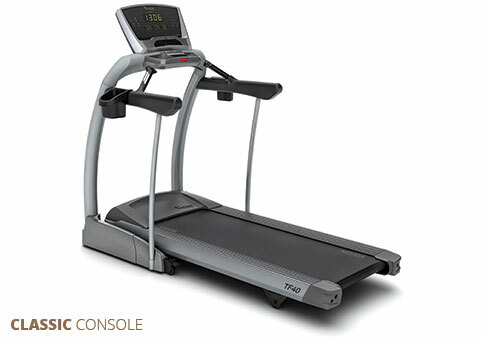 If you plan on buying a Vision T9500 Deluxe treadmill, I suggest you find a local dealer through Vision. You can get it for just $2,199.00.